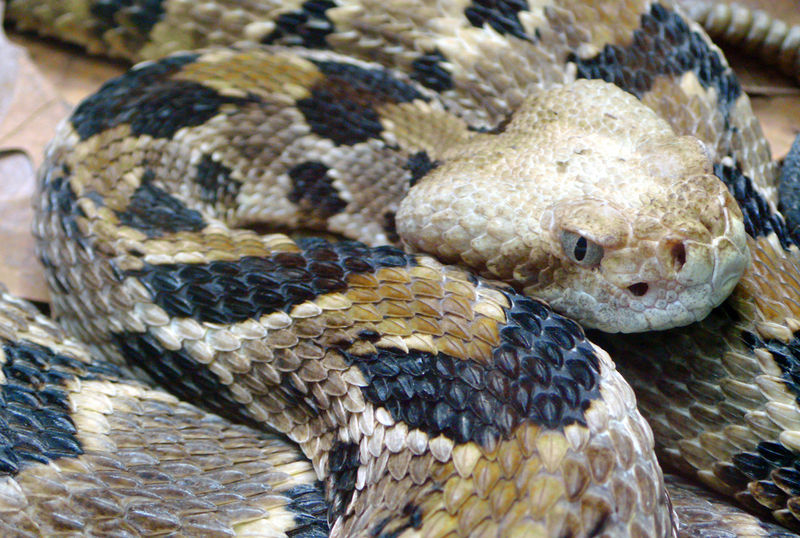 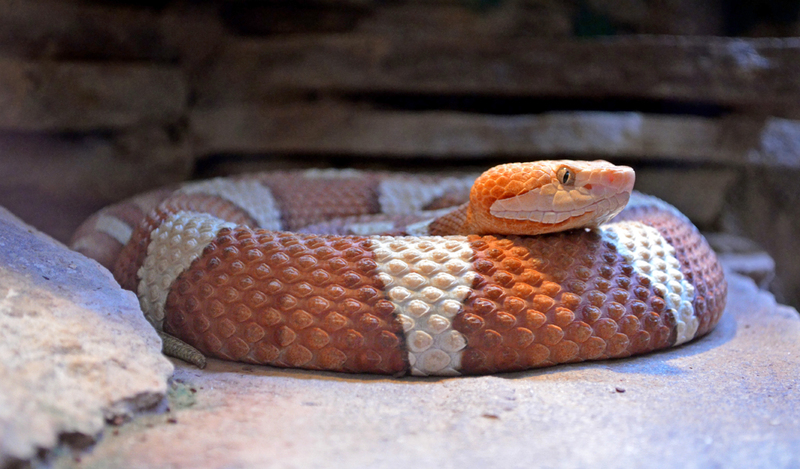 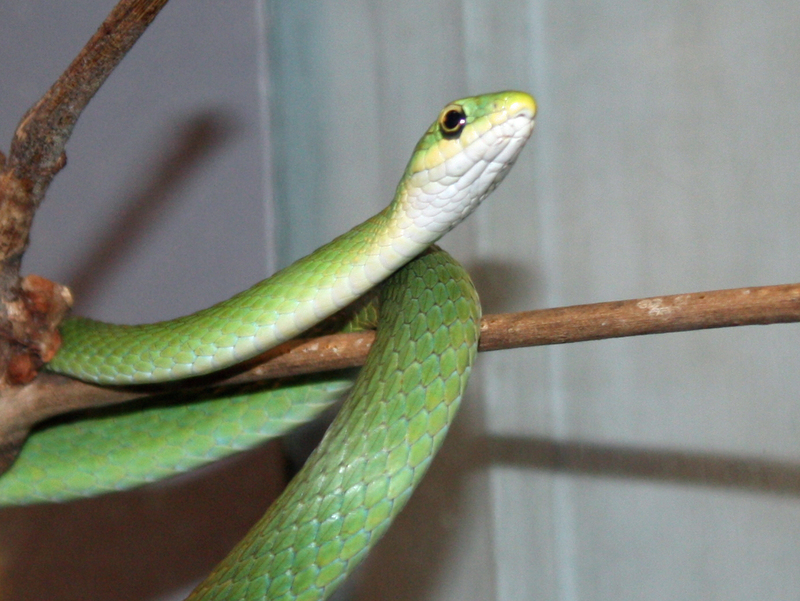 finally, educate Zoo visitors about snakes and their role in the environment. 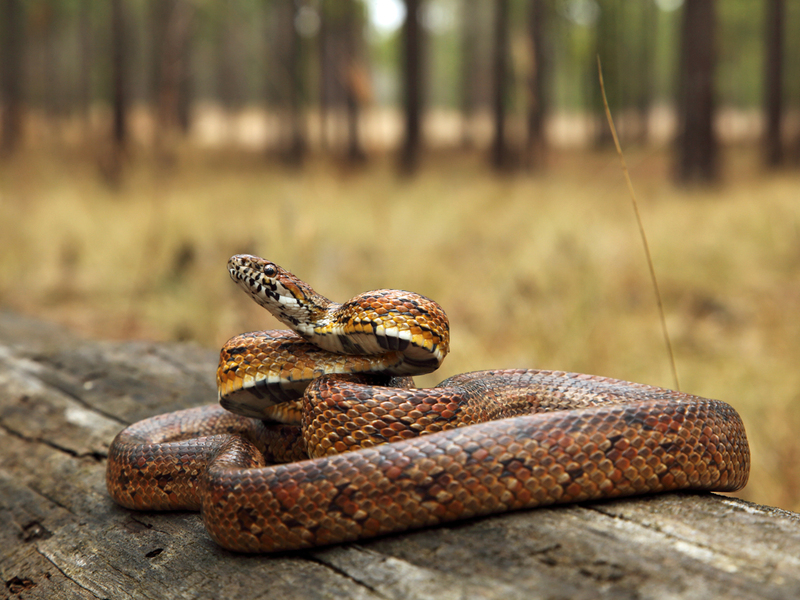 What Is A Mark/Recapture Study? 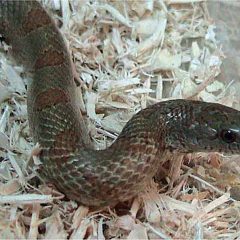 the number of recaptured animals (assigned R). 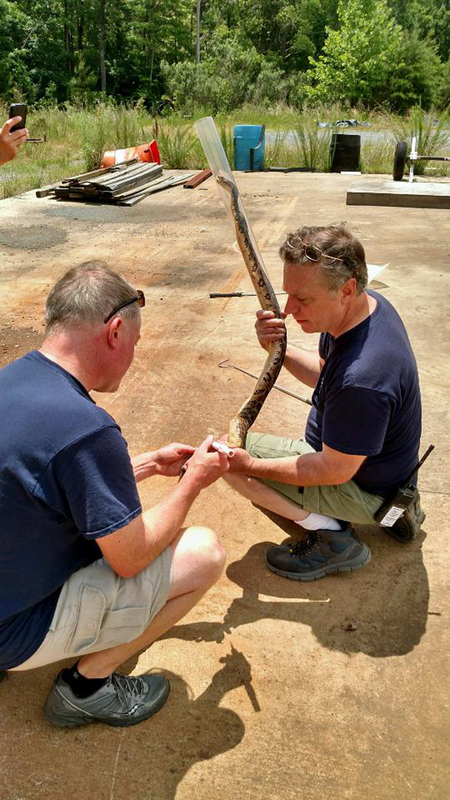 Then, the researchers do the math. 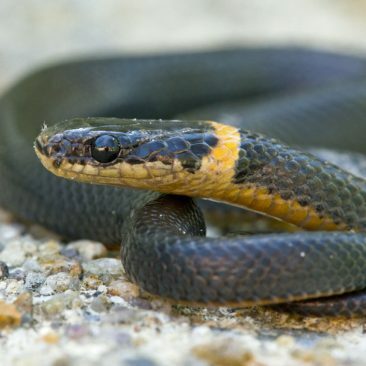 They multiply M x T and then divide that by R. The total of that equation gives the researcher the estimated size of the entire population in the area. 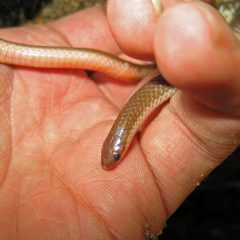 It is important to understand that the estimated size can be affected by events that the researchers cannot control; for example, marked animals may die before they can be recaptured, or they may simply leave the study area as part of their normal movement patters. 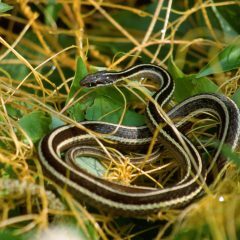 That’s why it is important that research studies like this be repeated several times in order to gather adequate data before drawing conclusions. 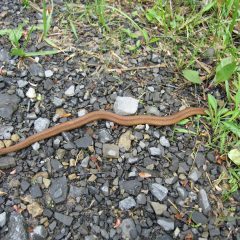 Wildlife researchers know that it is important to follow consistent practices are followed over an entire research project. 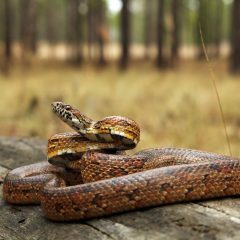 To help keep things consistent, researchers will often design protocols, which are essentially a set of guidelines or steps for their specific research project. 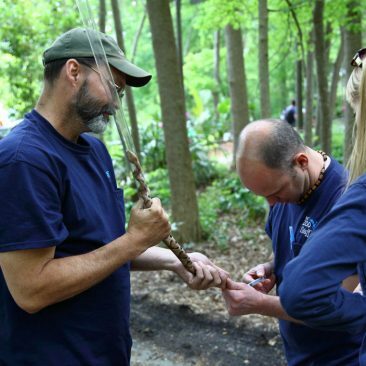 That way, they can make sure that they do the same things every time they handle an animal and collect data; this in turn helps them make sure that they can draw conclusions and make decisions based on data that were collected in the same way every time. 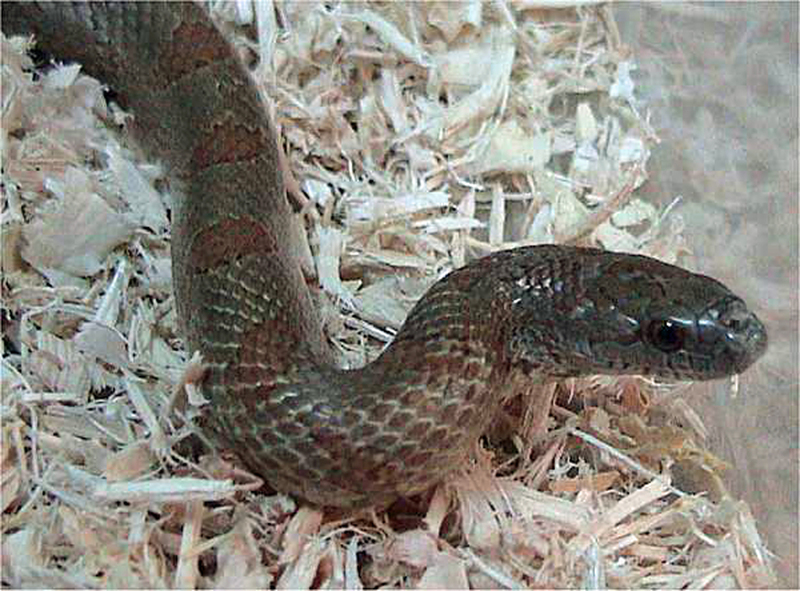 the snout-vent length (SVL), total length (TL) and weight of the animal. 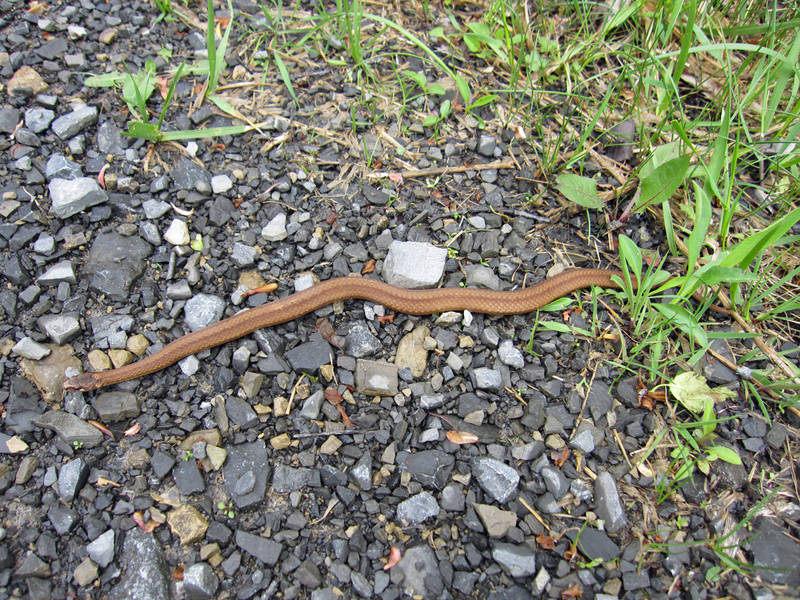 We also collected blood samples from the Copperheads and Eastern Rat Snakes we captured. 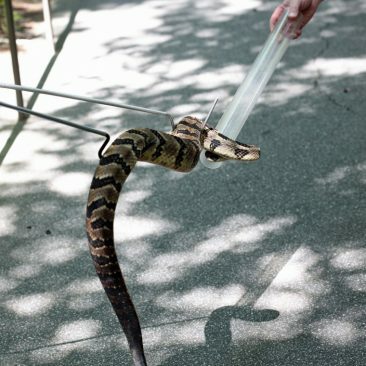 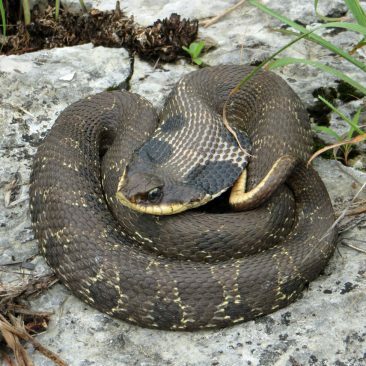 A veterinarian took one sample when the snake was restrained and a second after the data collection process, which usually took about 15 minutes, was complete. 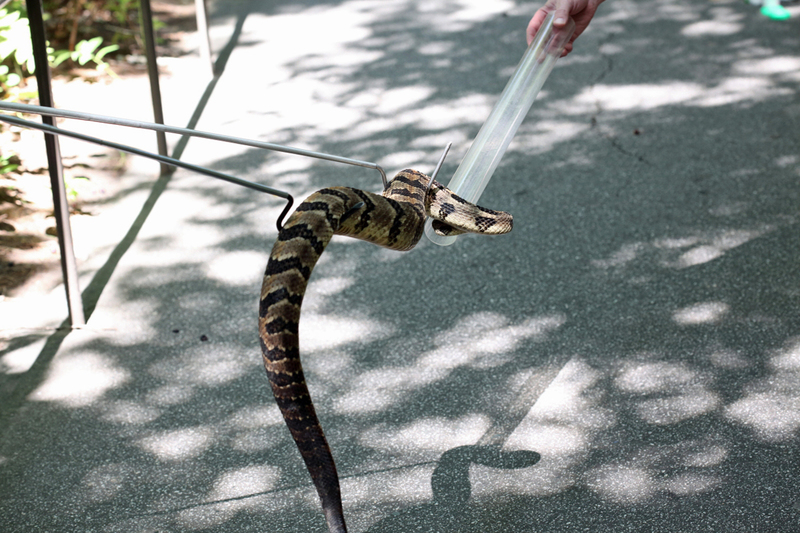 These samples were needed for the stress study mentioned above; we wanted to know the difference in lactate levels between each animal’s blood samples to determine how much stress the process had on the snakes. 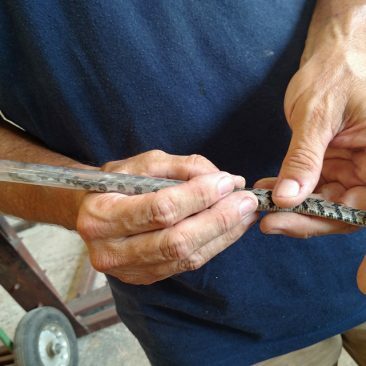 Finally, we assigned an ID number to the animal and implanted a PIT tag so that the animal could be identified if it was captured again. 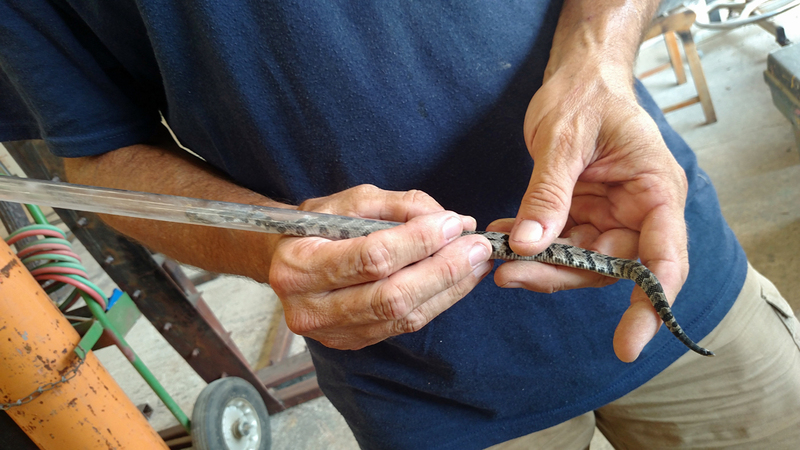 We also made a mark on the snake’s ventral scales, which are the large, overlapping scales on the snake’s belly. 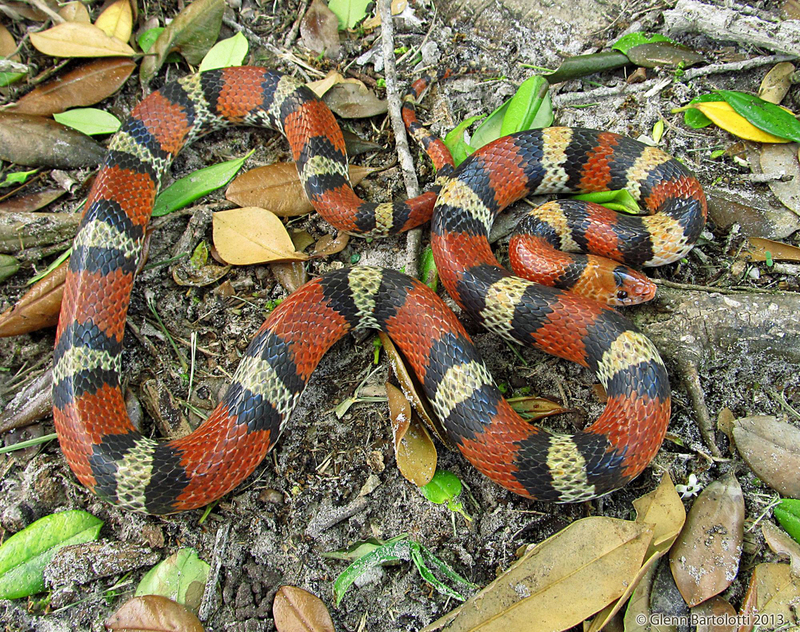 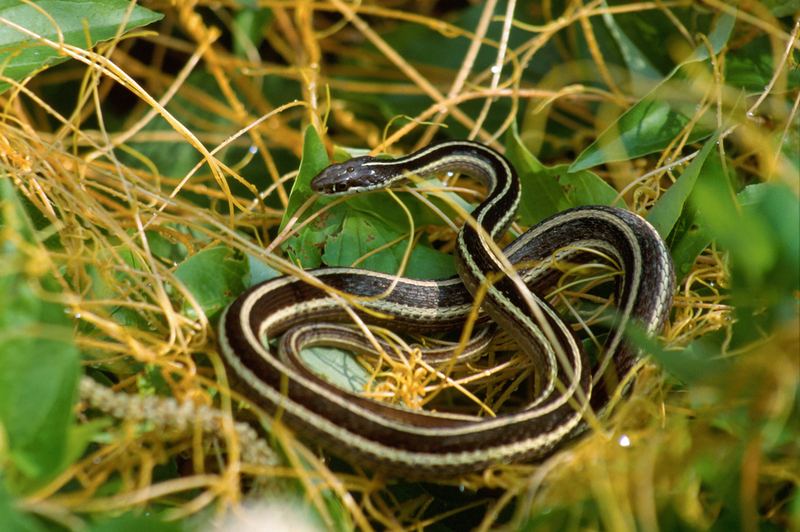 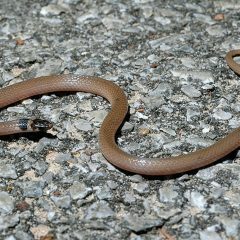 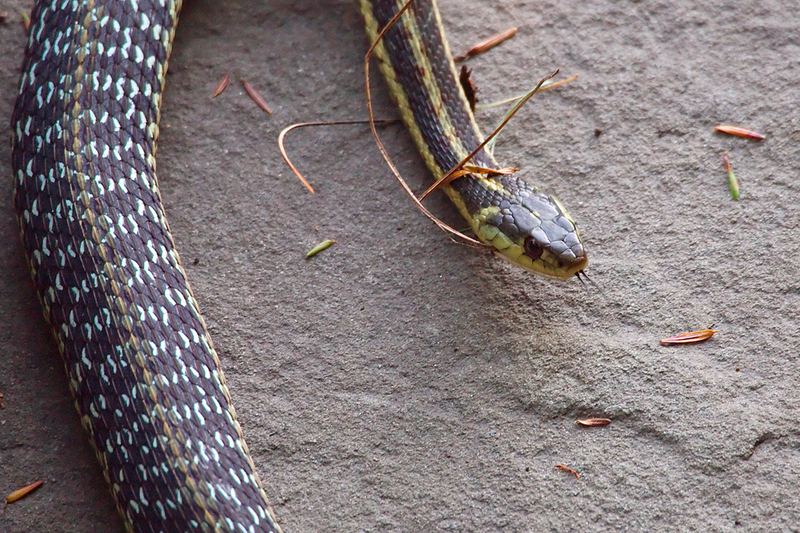 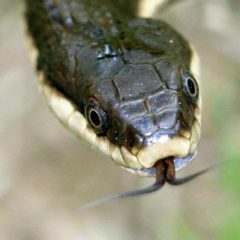 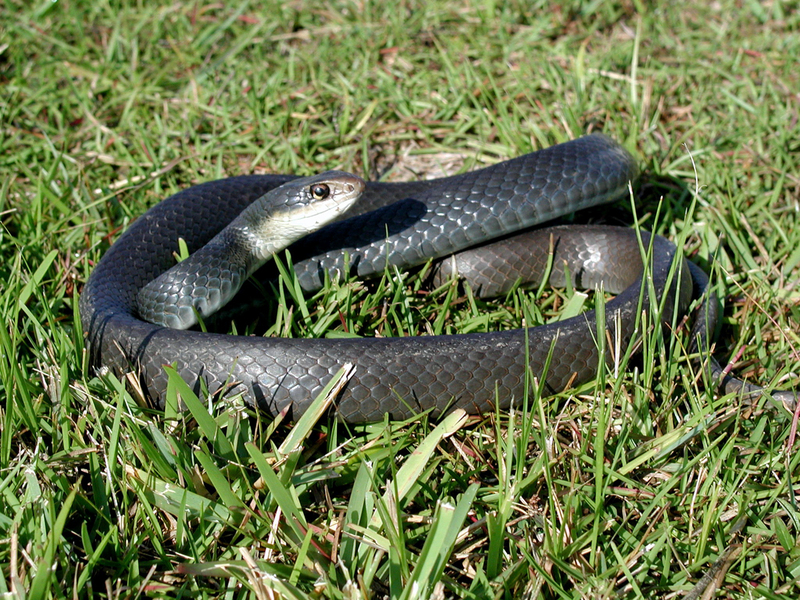 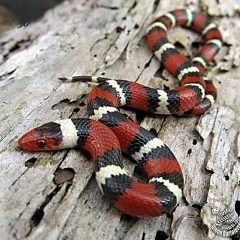 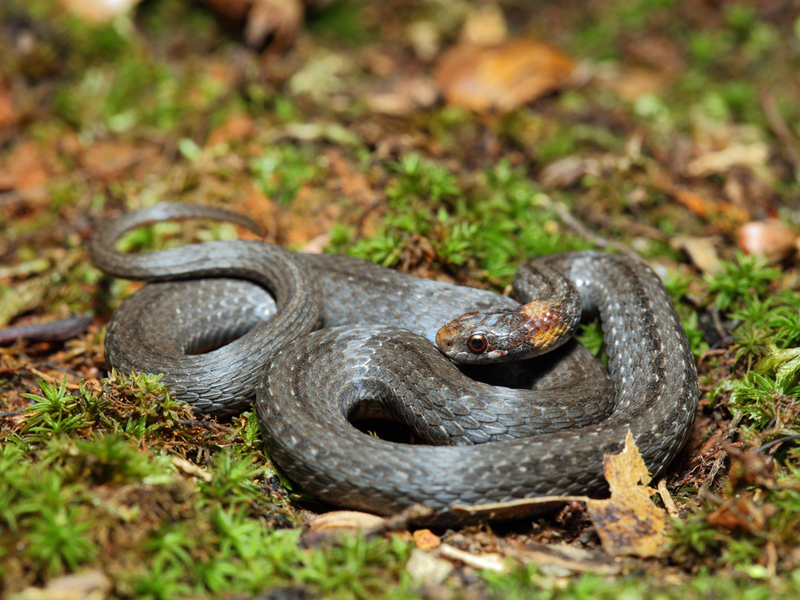 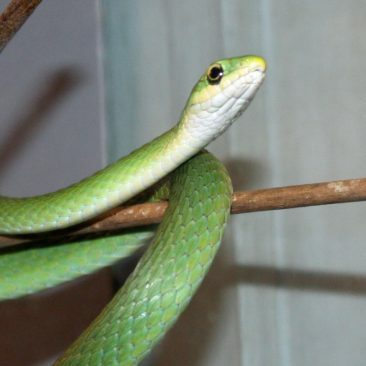 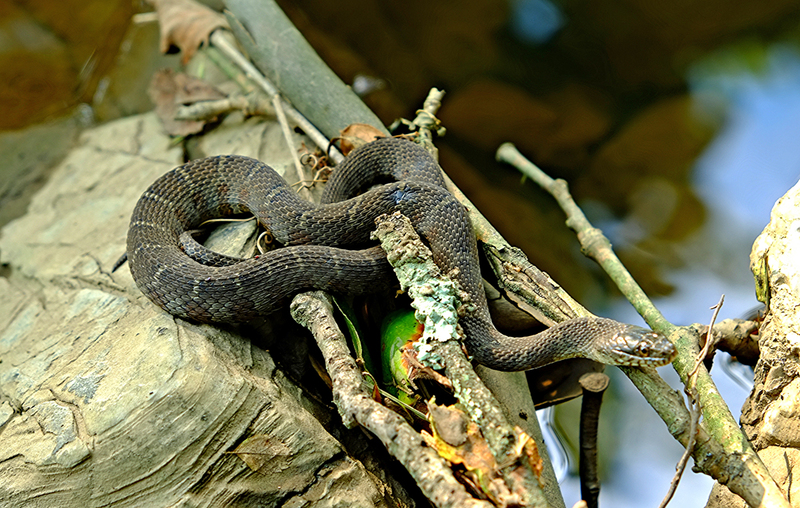 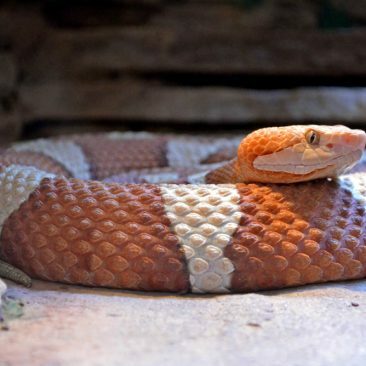 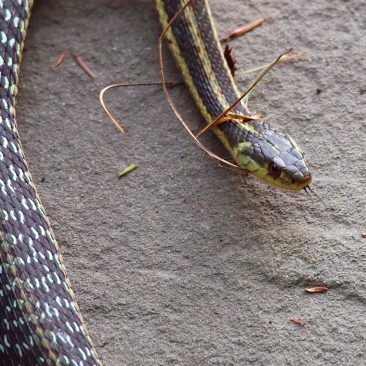 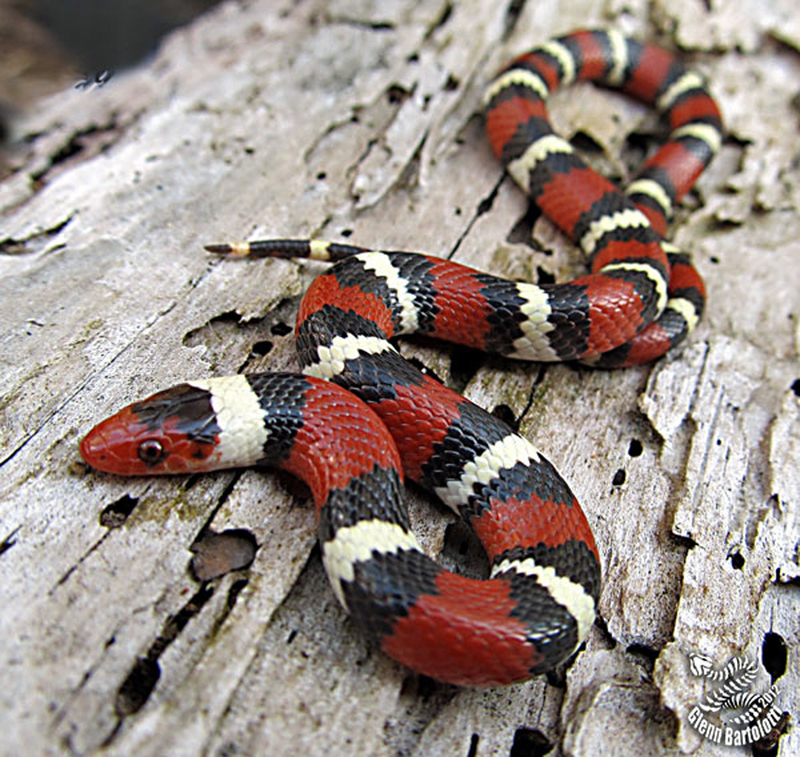 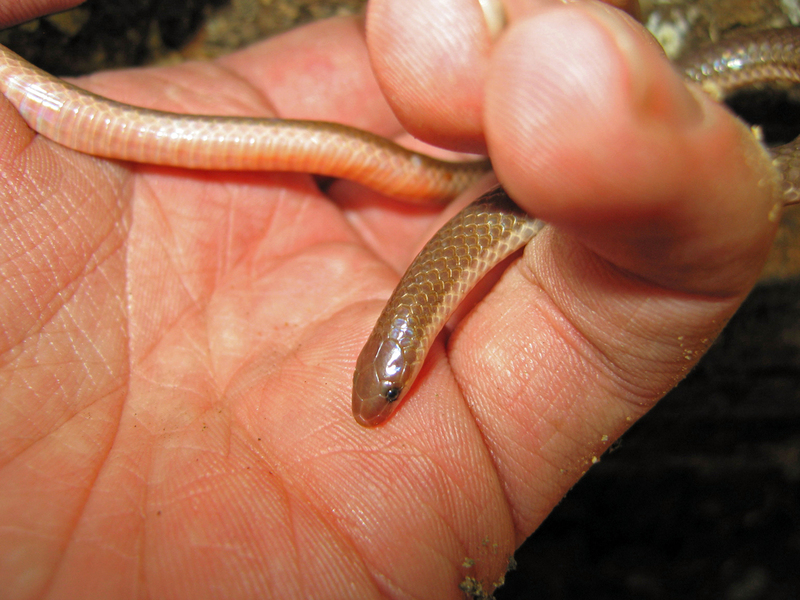 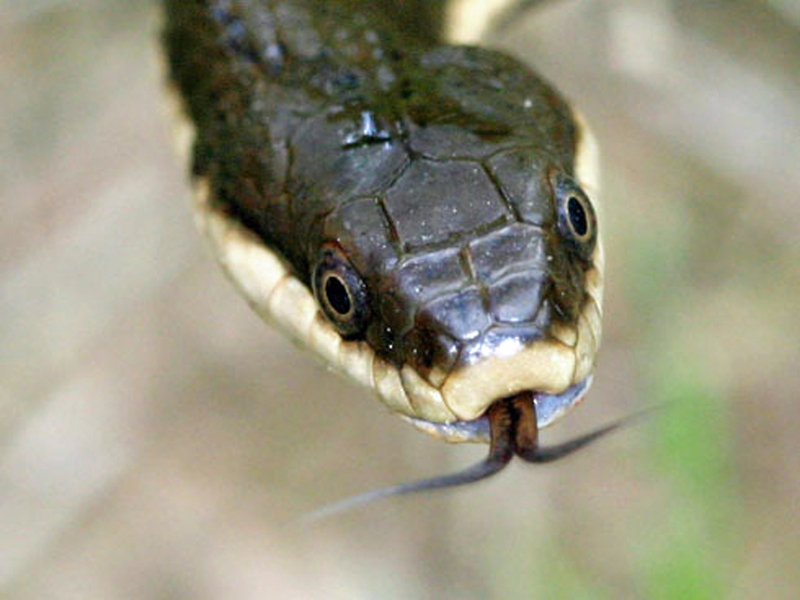 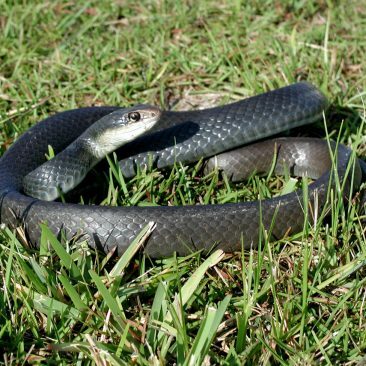 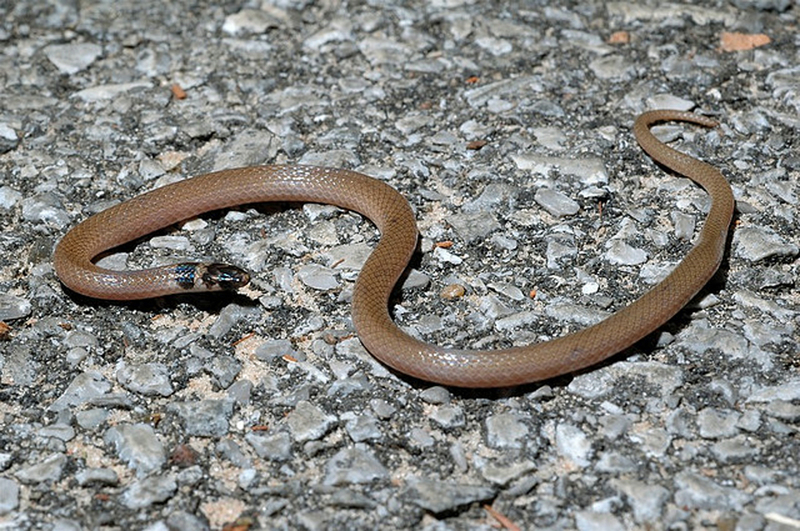 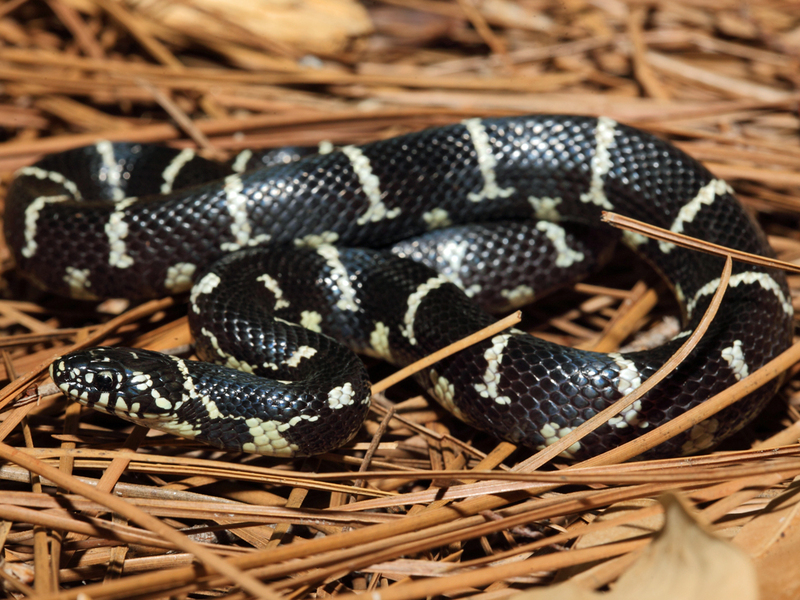 The research team documented 12 species of snakes on the North Carolina Zoo’s property. 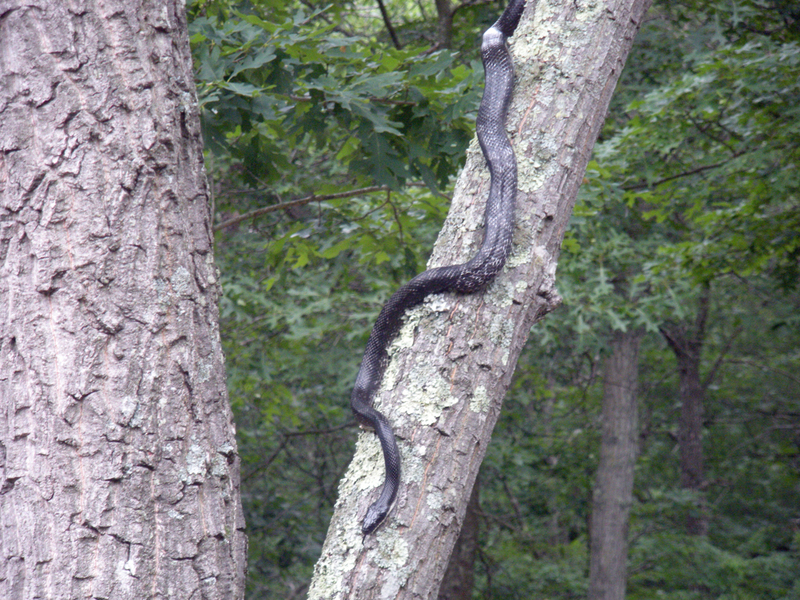 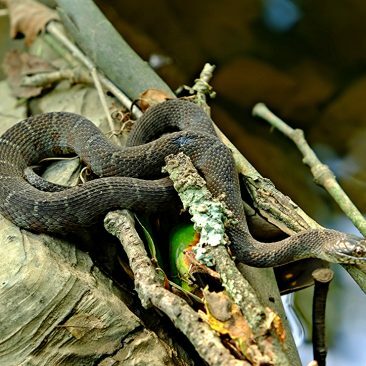 That is about 55% of the snake species commonly found in Randolph County, North Carolina. 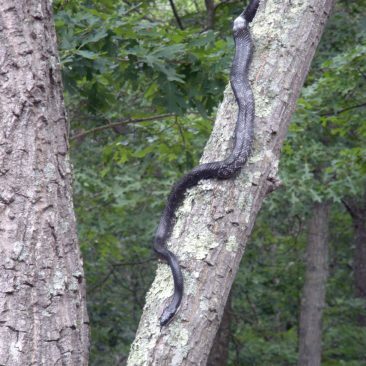 Those 12 species, plus the other ten species typically found in Randolph County, are pictured below. 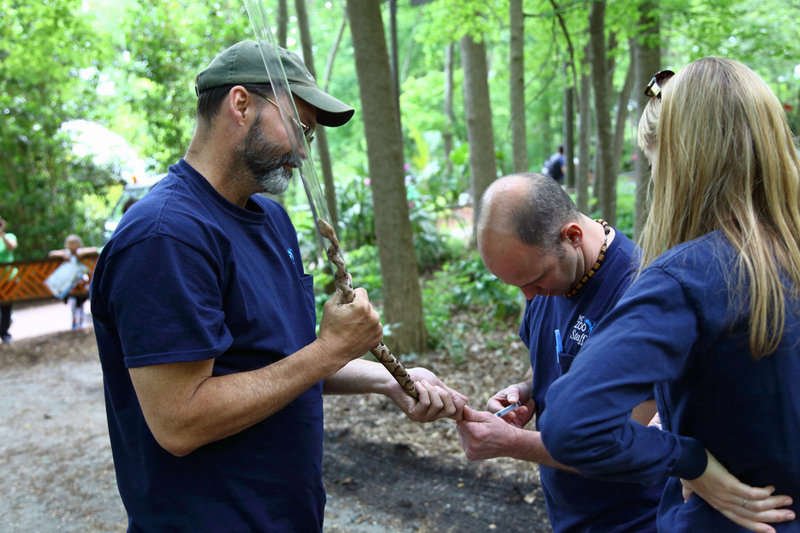 We were able to place PIT tags in 123 animals. 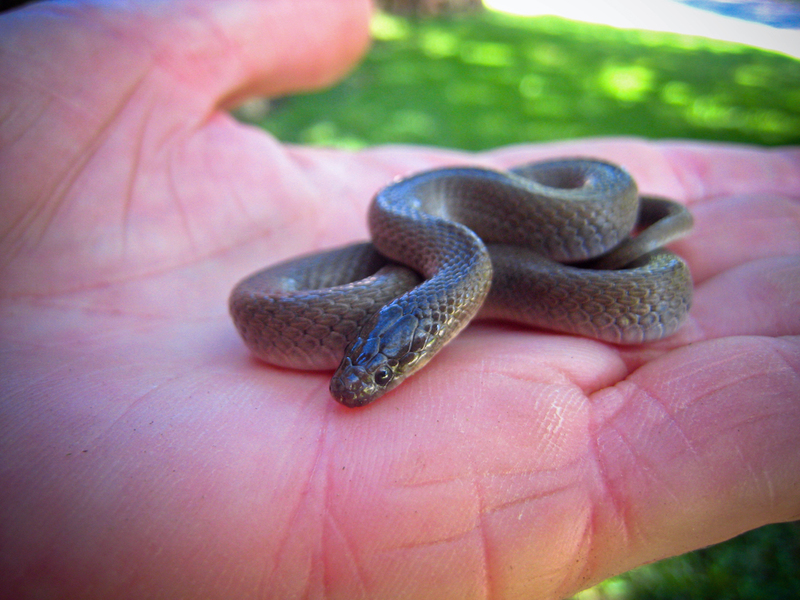 We will continue capturing snakes in order to gather data for the “recapture” portion of the study. 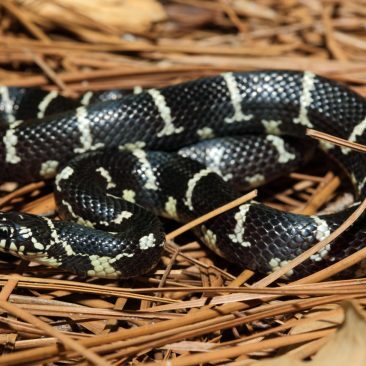 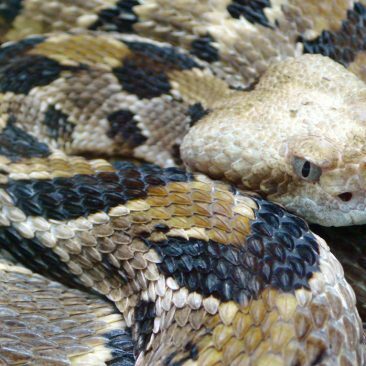 This data will help us make accurate estimates of each species’ numbers in the areas around the North Carolina Zoo and will also help us better understand how wild snakes use the Zoo’s habitat areas. 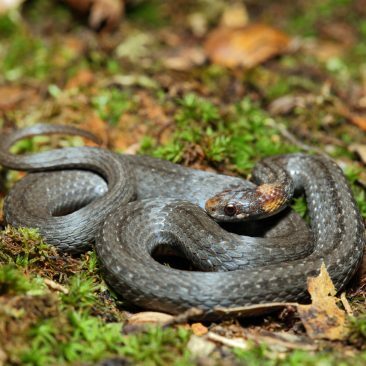 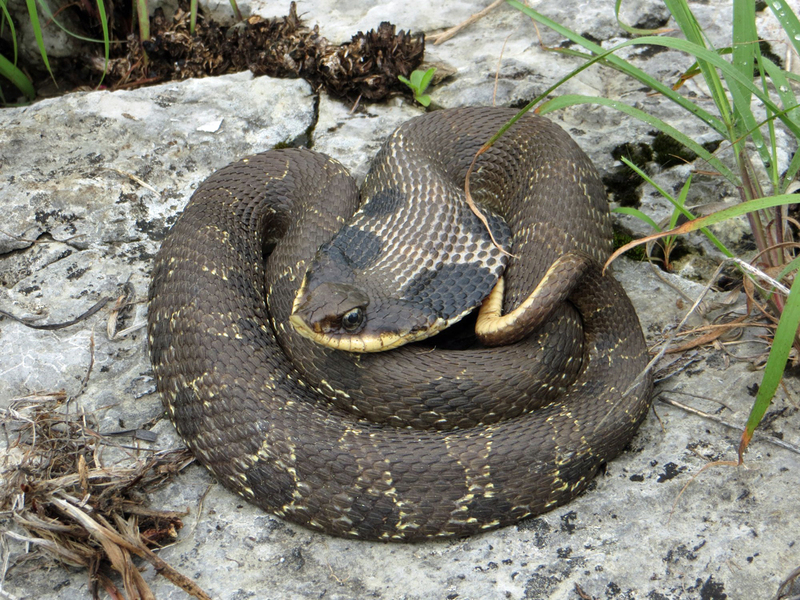 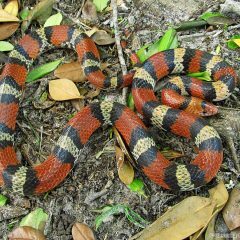 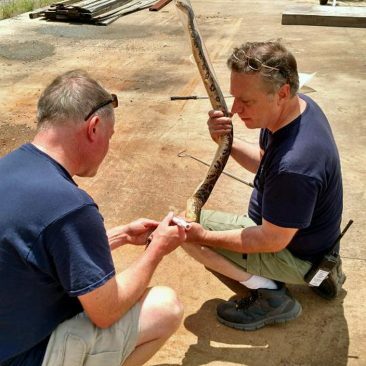 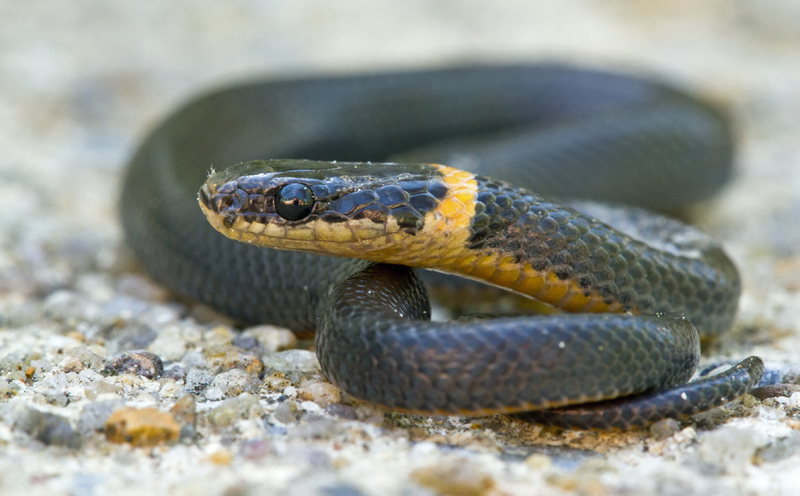 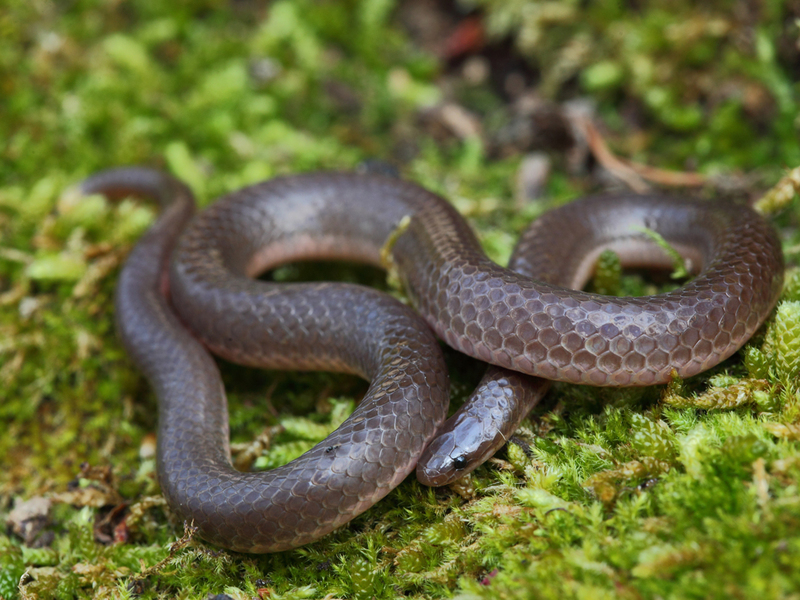 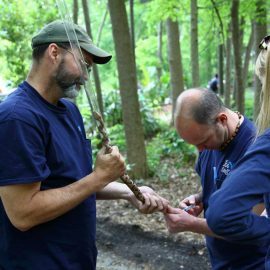 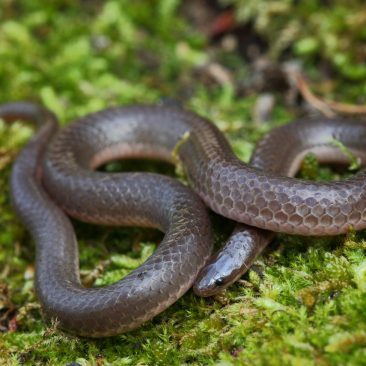 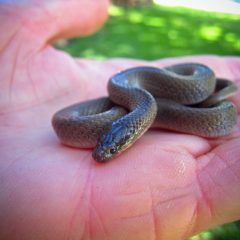 A group of herpetology researchers gathered data throughout 2015 as part of a mark/recapture study in order to learn more about the native snakes found on the grounds of the North Carolina Zoo.